I GRADUATED!!!! YES! 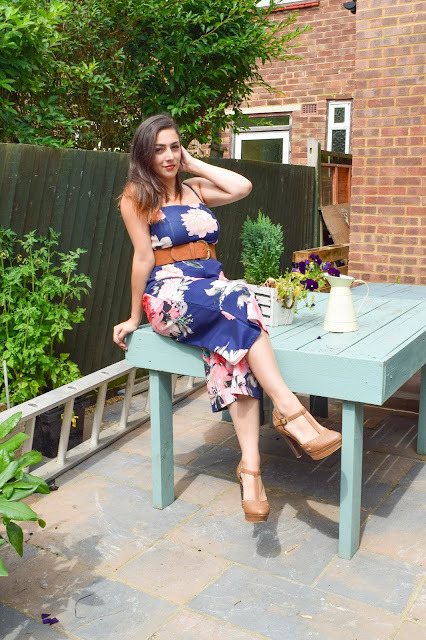 And in celebration and all the happiness I thought I'd share the outfit I graduated in with you guys because it's the most beautiful and comfortable jumpsuit from one of my favourite brands. We didn't have gowns and caps because it wasn't your typical university graduation but it was perfect and I couldn't have asked for a better ceremony. I actually bought my outfit 3 hours prior to getting to graduation because originally I was just going to wear something I had in a bid to save and not spend unnecessary money... but after looking at my only 3 options and hating them all I head down to my local shopping park and ran into Debenhams where I knew Quiz Clothing would have the very thing I needed. I almost bought something else very similar from Warehouse but the only reason I didn't get that one was because they didn't have it in my size. 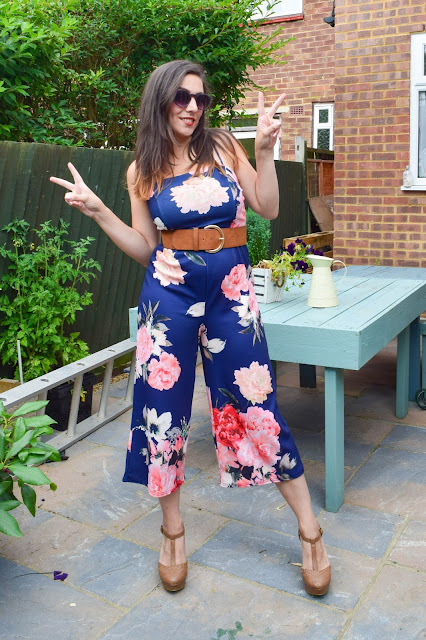 Anyway, I found this gorgeous culottes jumpsuit and I knew I just had to have it. 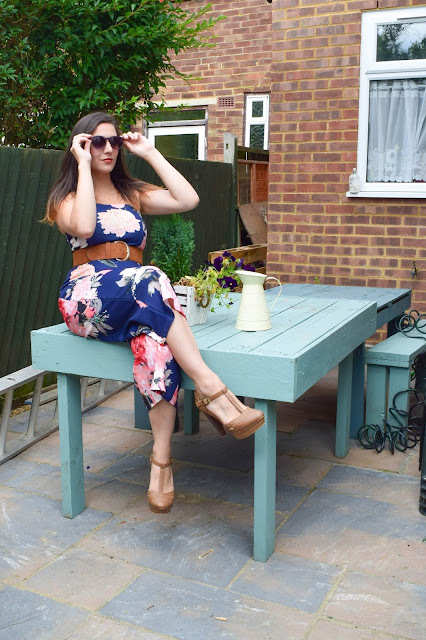 What I love about jumpsuits is that they fit in that smart-casual dress code well. 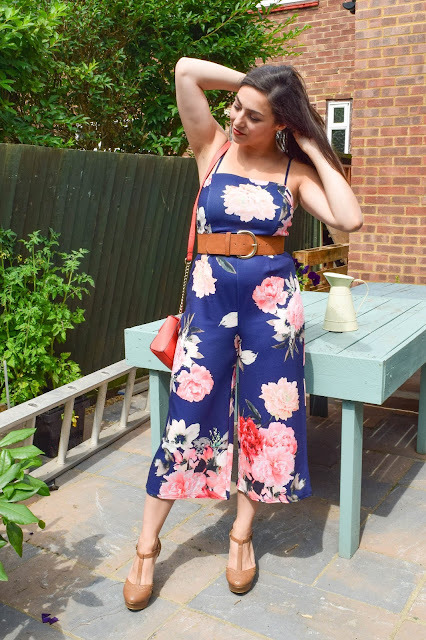 I love looking smart and glamorous but I love being comfortable just as much, which is why I think I loved this jumpsuit so much because it gave me all those things! 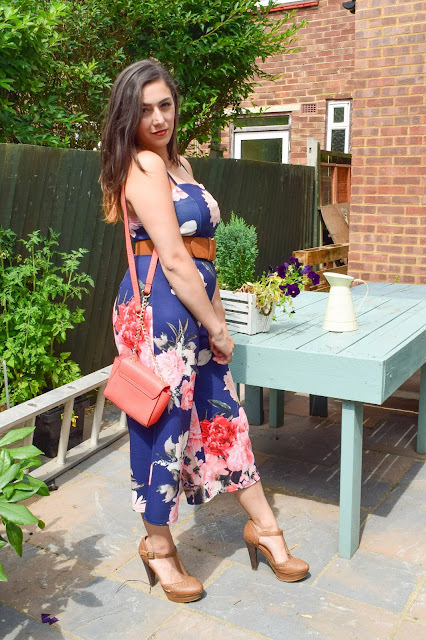 I jazzed it up with a belt to match my shoes and I also borrowed a bag from my mum to bring out the colour from the florals. As you can tell I was having quite some fun taking these photos. 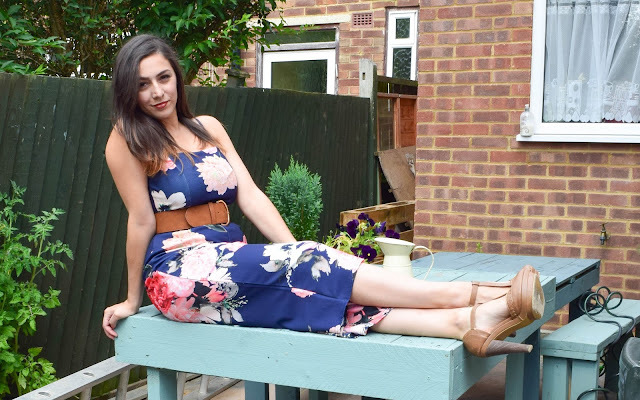 And it's because I've got all my motivation back and because I'm feeling so empowered and proper chuffed about having graduated and the place I am in life at the moment. I now have all the qualifications I'll ever need, I have my dream job, my class lined up for next year and I have a great plan for 2018 in the making with John. Things are looking really good right now and I'm so grateful of it all. In moments like these I feel like I can really give some advice about following your dreams and be proof of it, because they can come true. Work hard to get them and they shall be yours! Congratulations on graduating! I hope you had a wonderful day. Ahhhh thanks so much, it was the best day! Can't believe it's been so long already since.